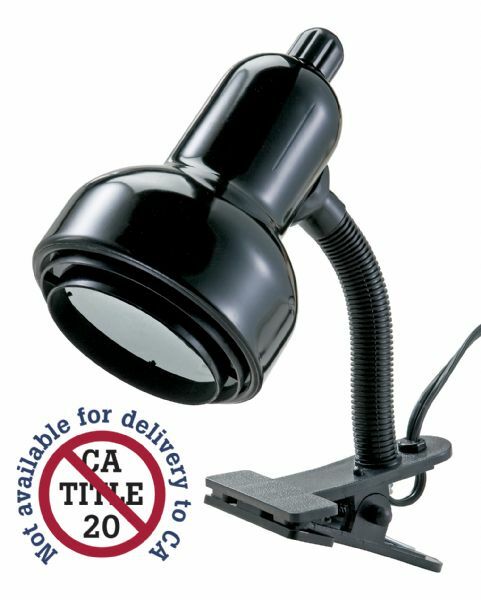 Versatile gooseneck clip light can be used anywhere additional light is needed. * The metal shade concentrates illumination then diffuses it with a 4½" diameter metal shade with plastic baffle. 10" x 6.3" x 4.7"